University #2 is a very large for-profit university with large online enrollment and high GI Bill enrollment. 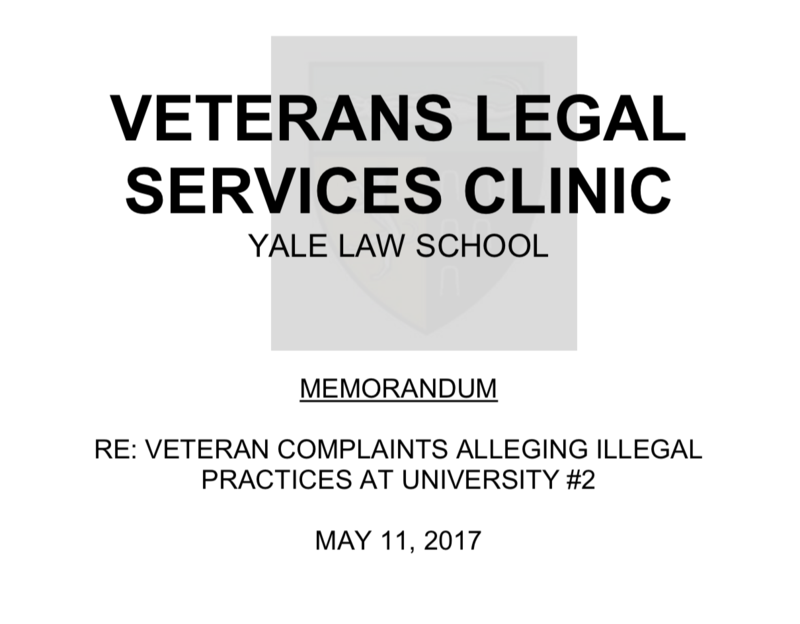 The Department of Veterans Affairs (VA) has received a significant number of student complaints (from veterans, servicemembers, and veterans’ dependents using the GI Bill) about University #2. Several hundred veterans, servicemembers, and veterans’ dependents using the GI Bill at University #1 also shared their experience with, and sought free legal assistance from, Veterans Education Success (VES). These students allege, in short, that University #2 misled veterans and servicemembers about the school’s accreditation, the quality of education it provides, and post-graduation job opportunities; pressured students into taking loans and takes out loans for veterans without their consent; changed its program requirements for students already enrolled; and imposed hidden fees on students.